Cesena and Fiorentina will play their fifteenth game of the Serie A season at the Stadio Dino Manuzzi on Sunday, 14th December. The teams haven’t played since March 2012 when Fiorentina won 2 – 0. In October 2011 the teams drew 0 – 0. 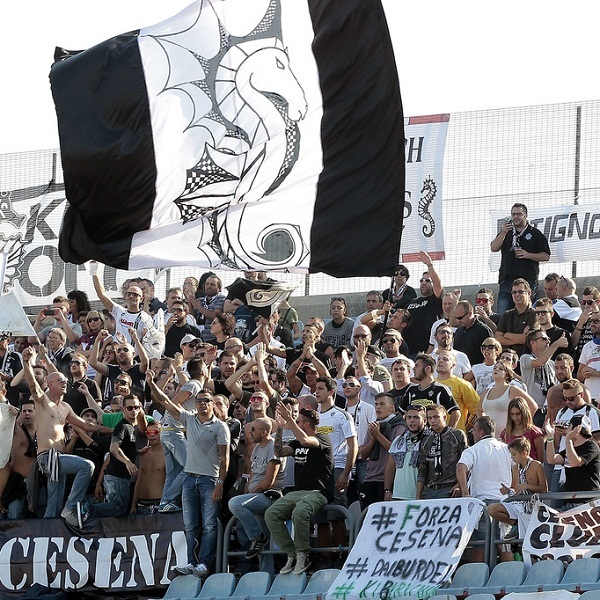 Cesena is nineteenth in the league with 8 points having won 1 game, drawn 5 and lost 8. They are three points above Parma. Fiorentina is ninth in the league with 20 points having won 5 games, drawn 5 and lost 4. They are one point above Sassuolo. Cesena: Leali, Renzetti, Capelli, Lucchini, Volta, Giorgi, De Feudis, Cascione, G Defrei, Brienza, Djuric. Fiorentina: Tatarusanu, Richards, Gonzalo, Tomovic, Cuadrado, Kurtic, Badelj, Lazzari, Vargas, Marin, Gomez. A 1 – 0 win for Fiorentina is the most likely outcome with William Hill and Bet365 both offering odds of 9/2.